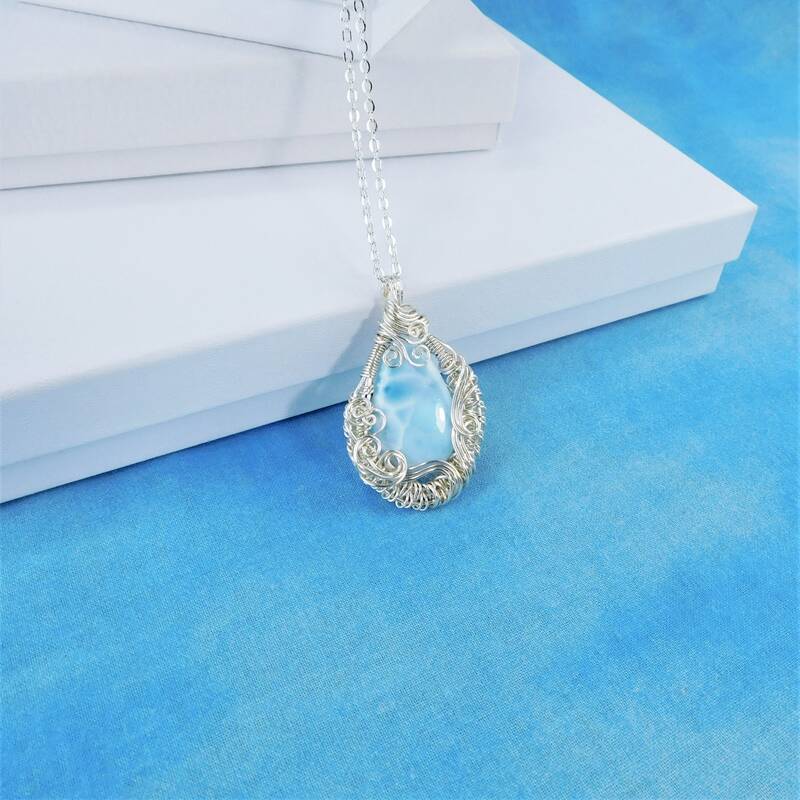 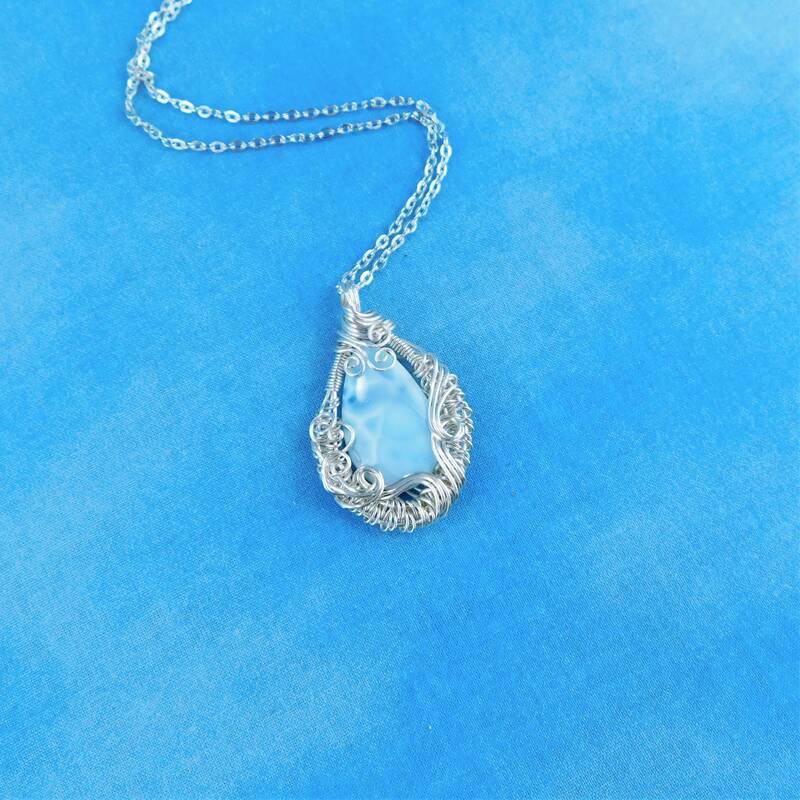 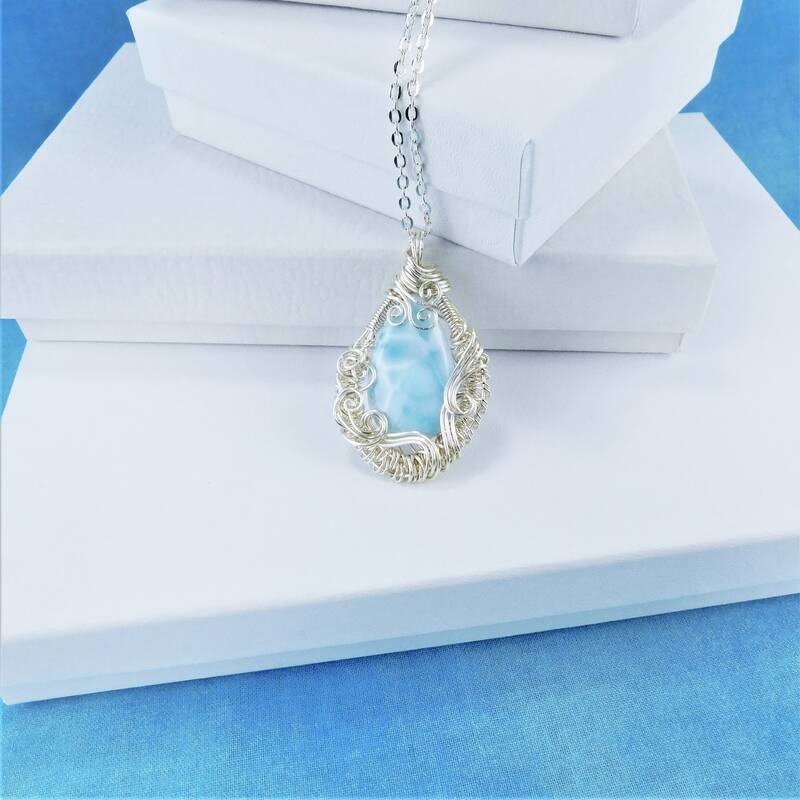 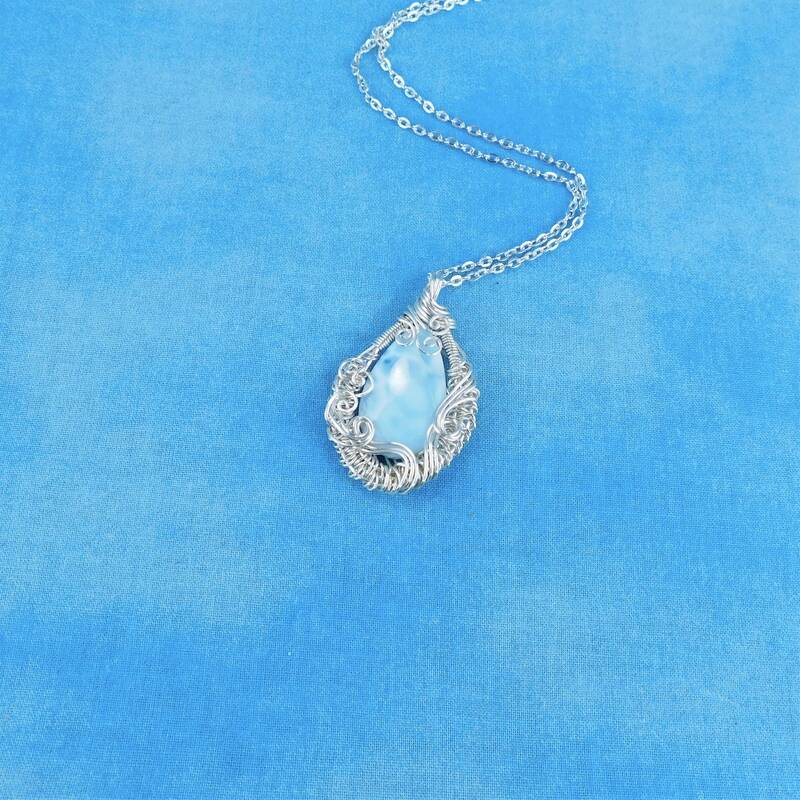 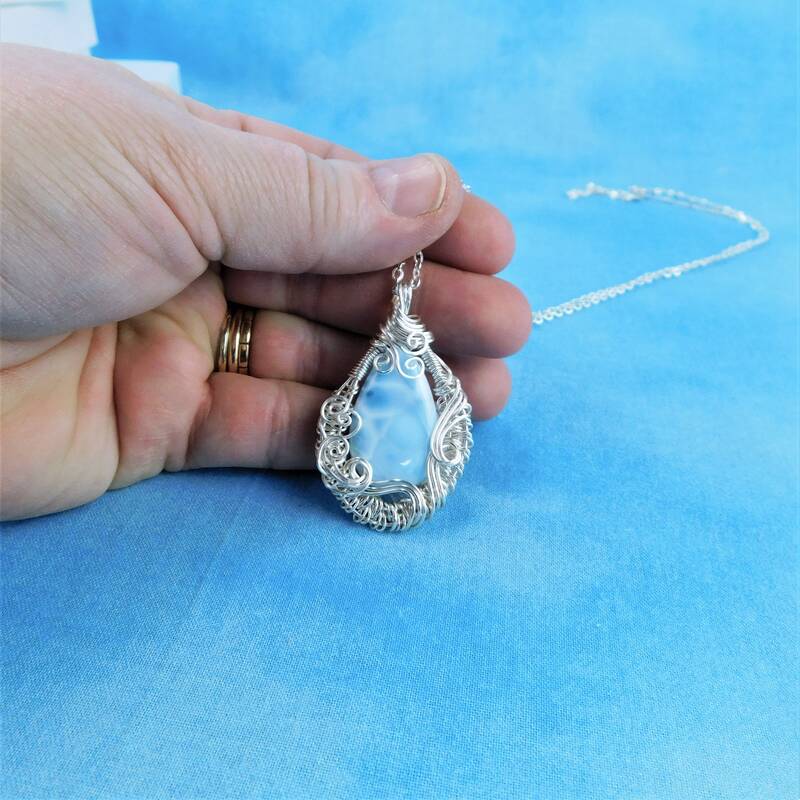 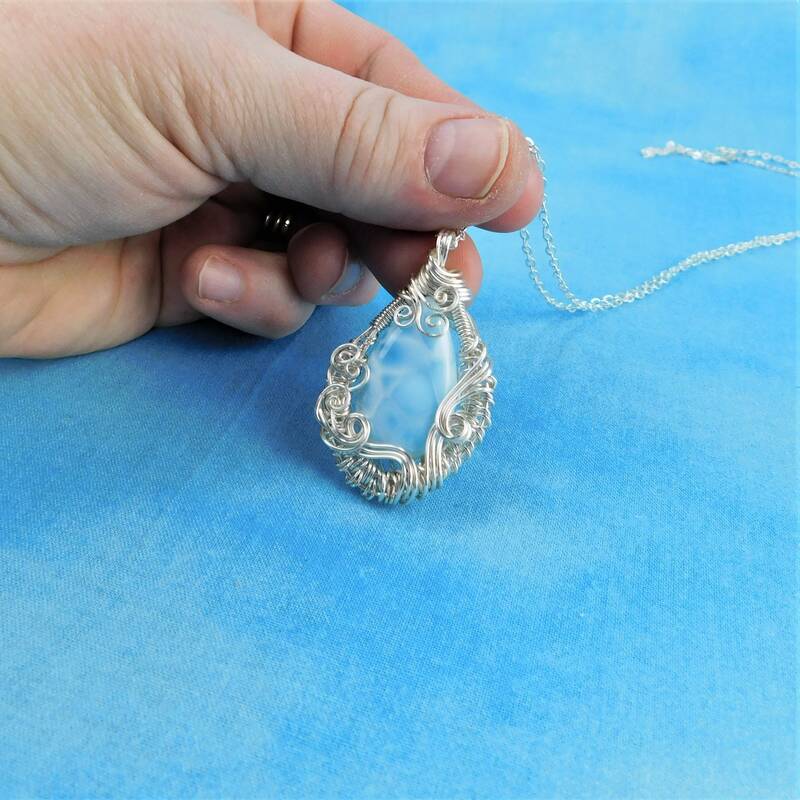 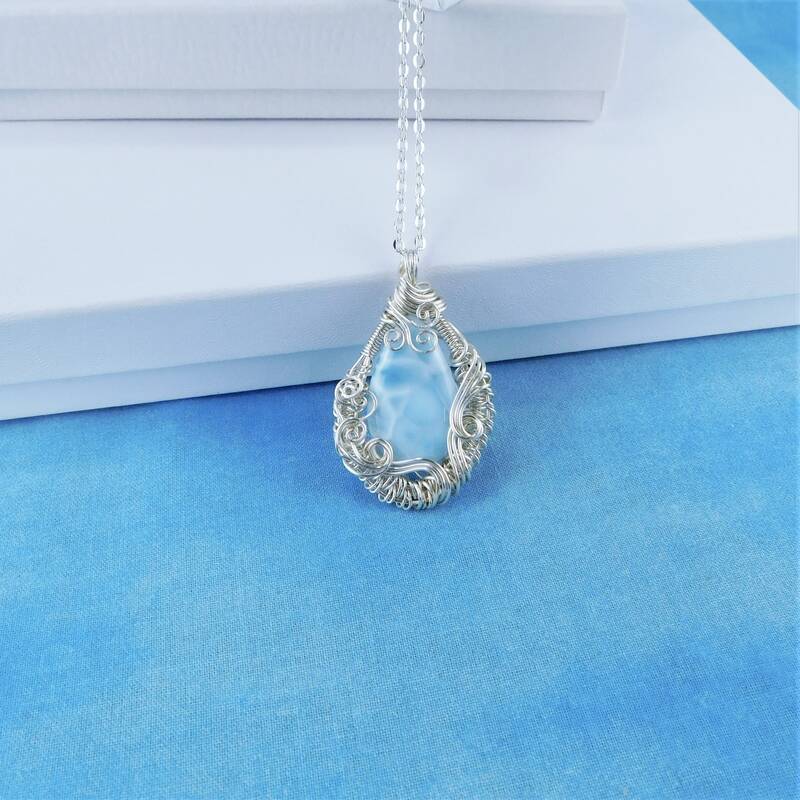 A beautiful blue Larimar Gemstone is framed in artistically handcrafted woven and sculpted wire. 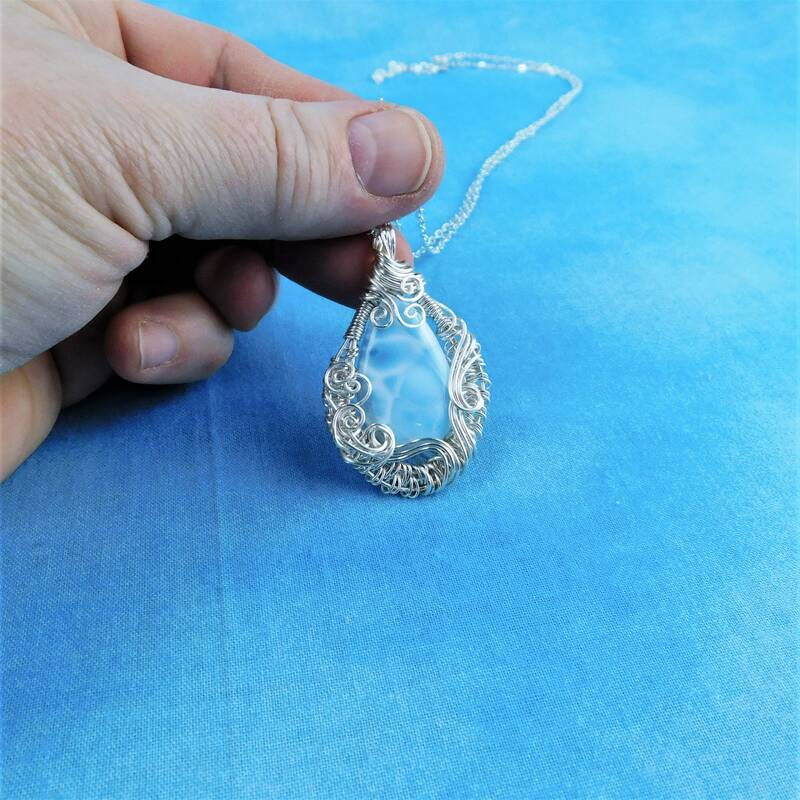 The woven frame is created by meticulously weaving four strands of non tarnish fine silver over copper wire. 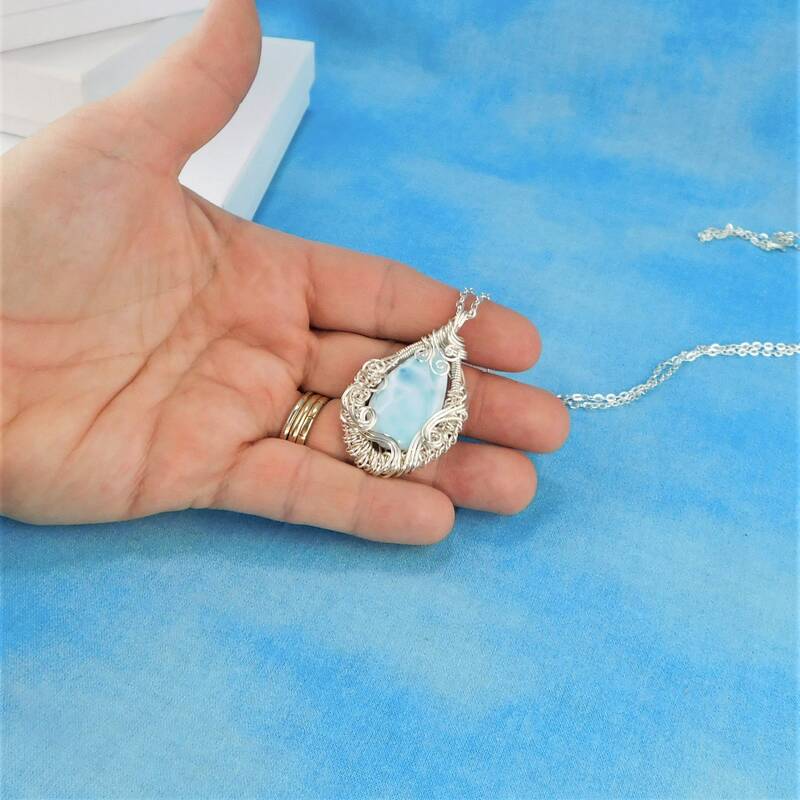 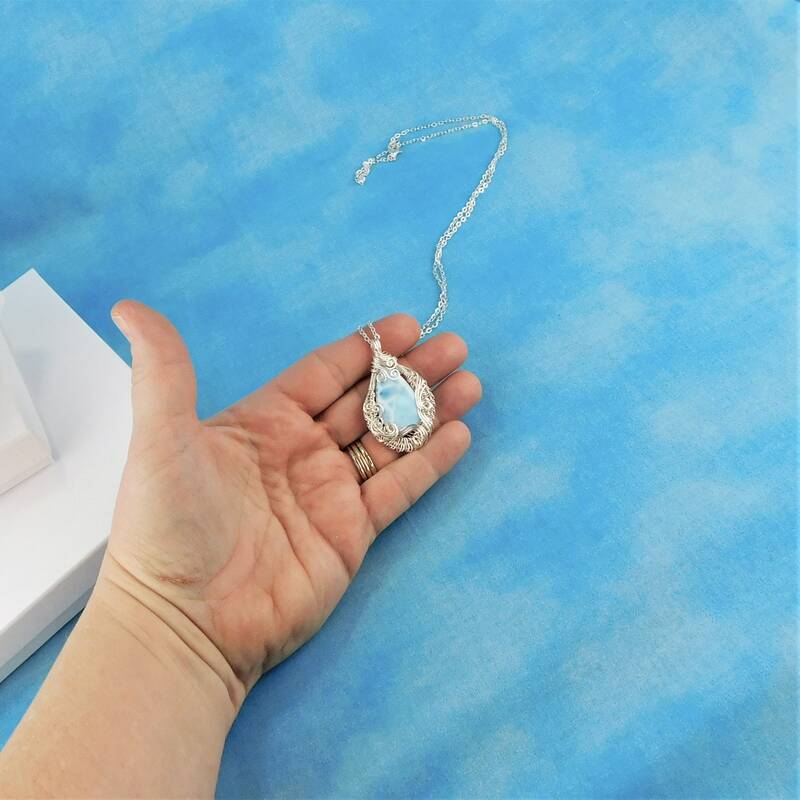 This is a one of a kind, artisan crafted pendant that will be treasured by the special woman in your life.